Revitalash like all eyelash enhancing products promises to give you longer, thicker and healthier lashes in a span of weeks. And like most of these products, Revitalash too has its fans and neigh sayers. Many of its users have claimed that within 5 weeks of using the product, there was a considerable growth in their eyelash length. This brand also used to contain Bimatoprost but lost the privilege to use it when the company lost to a law suit with Allergan. Which could be fortunate or unfortunate depending on the way you see it since Bimatoprost has caused its users a lot of negative side effects anyway. The truth behind the brand is a puddle of good and bad. Let’s delve in further. Revitalash is an eyelash enhancer. 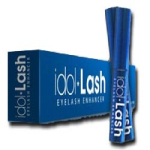 It promises to give you lush and long lashes with its continued use. This product mixes the ability to moisturize your hair follicles and has ingredients that encourages hair growth. Phenoxyehtanol – an anti-bacterial agent. Chlorphenesin – a muscle relaxant not commercially available in the US. Trifluoromethyl Dechloro Ethylprostenolamide – is probably the component that replaced the BImatroprost in the new formulation. It a lipid compound that is also associated with increase hair growth. How Much You Need To Apply? Revitalash is pretty easy to put on. Revitalash comes in a tube with its own wand applicator. Clean the eye area and remove contact lenses. Just draw the wand applicator as close to the base of your eyelashes as possible and you’re done. It is recommended that you use Revitalash only once a day. Revitalash claims to dramatically enhance the appearance of your natural eyelashes, making it look spectacularly longer, thicker and fuller in only a matter of weeks. It also claims to have been in the market longer than most products similar to it and is in proud compliance of all Health Canada requirements. In our humble opinion, it mainly works because of certain ingredients. One of the ingredients is also Trifluoromethyl Dechloro Ethylprostenolamide which promotes and aids the growth of your lashes. Might help protect eyelashes from brittleness and breakage. Is it ok to Use It During Chemotherapy? To be able to answer this question we must first tell the adorable story behind how Revitalash was created. Doctor Michael Brinkenhoff, an ophthalmologist by profession, wanted to lift his wife’s spirits while she was undergoing chemotherapy. And although admittedly, there hasn’t been any study that says using Revitalash during chemotherapy is alright, this story may be pointing to the right direction. However, we would still encourage asking for a doctor’s opinion first. Does it Cause any Discoloration? There have been reports and complaints about skin and iris discoloration. That is why Revitalash always stresses how important it uses to use this product sparingly and to not let it get into your eyes. If you begin to notice any discoloration, especially iris discoloration, discontinue use of Revitalash immediately and consult with your doctor as soon as possible. 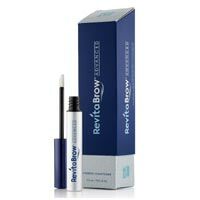 Revitalash seems to be an extremely promising product but like most eyelash enhancers it has its side effects. Always make sure that you are not allergic to any of the ingredients listed and if you begin to notice any discoloration then it is probably best to stop the use of Revitalash. Your overall health is still more important than long lashes.